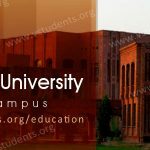 Before getting admission in BBA, MBA or any other business program, first take a look which are top business university in Pakistan 2018 by HEC ranking for business studies. Like everyone knows there are many institutes, colleges, schools and universities in Pakistan offering business degrees but students much prefer to the best one especially which stands at best university for MBA, BBA in Pakistan. A renowned business school matters a lot for its education based on quality, intention to produce trained youth who build a strong nation and make country more developing. This can be only done by that institute, college or university having an excellent educational structure and entire services, who maintain quality and a team of professionals to educate MBA, BBA or other business programs to students. A candidate who complete his/her degree from list of best business universities for BBA or MBA in Pakistan, can get a highly paid job everywhere because of quality education. He can also be a great and successful businessman, if he starts his own business anywhere in Pakistan. 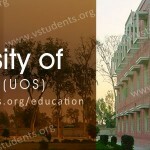 According to statistics to get to know most of students searched for which university is best for MBA in Pakistan? 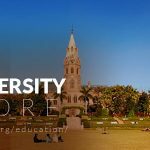 Best university for BBA? and more questions like that so, here we are mentioning a list of top business schools in Pakistan as per HEC ranking 2018 which can also be said as top business universities. You will also get an overview regarding these Pakistan’s leading business schools including their offered programs. Institute of Business Administration (IBA) Karachi: IBA is a name of excellence in the world of business studies, a leading and oldest school of business administration in Karachi and ranks No# 1 by higher education commission’s top 5 ranking of business category 2018. 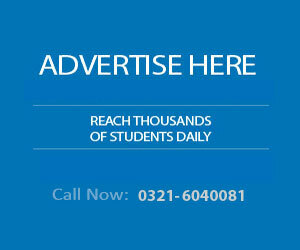 Being a Pakistan’s number one business institute, provides a solid base to prepare students to meet challenges. IBA Karachi offers MBA, BBA and more undergraduate, graduate and postgraduate level various business programs which are given below. The institute also having a few programs in computer science as PhD, MSCS and BS Computer Science. Students can apply for admission in IBA offered program also can submit application for EMBA online (Executive Master of Business Administration). 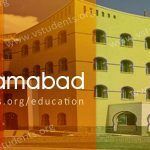 It is said to students, they can get more details about enrollment including IBA Karachi admission details and further related information. Lahore School of Economics Lahore: LSE a distinguished institute of business learning in Pakistan came into being in the year 1993 and enjoys to have 2nd rank from the list of best business universities in Pakistan. 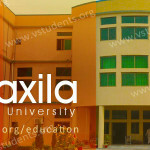 It has only two campuses where a number of students are enrolled from across the country. LSE Lahore is offering academic programs in subjects of economics, finance, business administration, mathematics, statistics, art & design, environmental science and also media studies. 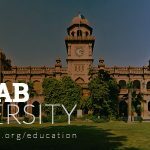 Don’t forget to check out other best university for MBA, BBA in Pakistan which is Iqra university Karachi and Lums University Lahore. Shaheed Zulfiqar Ali Bhutto Institute of Science and Technology Karachi: We place SZABIST Karachi in our list at third rank which is picked by higher education commission ranking of ten ten business universities in Pakistan 2018. In not a long duration, SZABIST has turned one of the top business institutes 2018 in the country giving a range of degrees as BBA, BABS, BS Computer Science, BS Media Sciences, BS Social Sciences, BE Mechanics, BS Bio-sciences, LLB, EMBA, MBA Banking & Finance, MS (Computer Science), MS (Media Sciences), MS (Management Sciences), MS (Social Sciences), Masters in Project Management, Master of Advertising, Master of TV Production and Ph.D. SZABIST fee structure for business programs starts from about 86,000 Pakistani rupees and if you need to get more information about SZABIST fee structure, you may visit to official site or check our SZABIST Admissions post where entire details are mentioned. Institute of Business Administration Sukkur: Sukkur IBA is HEC’s approved school of business learning amongst one of the renowned and top business school in Pakistan. It gives other programs except business as computing, information technology, telecommunication, software and electrical engineering. It is providing entire facilities to its enrolled students including separate hostels for boys and girls who come from all over the country. Here we are listing programs that are offered by Sukkur Institute of Business Administration and you can check fee structure IBA Sukkur. Institute of Management Science Peshawar: IMS Peshawar is the preeminent management and business school in KPK Province and recognition is crossing beyond the edge that’s why it placed at fifth top business university pakistan. Being a private Institute it is distinctly different to others universities because of fully autonomous organization. This makes possible of rapid response to all new developments worldwide of academia and match the requirements and needs of employers. 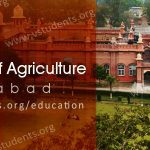 Currently the Institute of Management Sciences Peshawar shortly famous as IMSciences giving degree programs in various disciplines as business administration, social sciences, management, IT and health. Here we have mentioned world recognized top universities for business studies 2018 which can be BBA, MBA or any other management courses in Pakistan. These are the HEC’s top ranking institutes so, don’t worry about submitting your admission forms to above listed business schools. If you get a chance to enrolled in any of the institute then you are lucky to have shinning future ahead. We believe this career guide will benefit many of the students to have goal in hands. 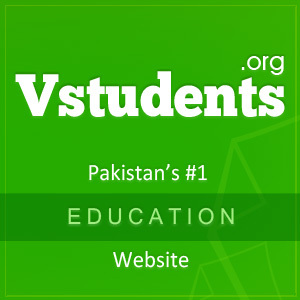 Stay tune www.vstudents.org/education/ for more details on best universities for business studies in Pakistan. Sir I belong to fata and my qualification is bsc. Now I want to take admission in MBA in business or Commerce. HEC rankings are a complete joke. Their review and rankings criteria is flawed. It’s the quality, networking and market value that counts, be it any business school in the world. 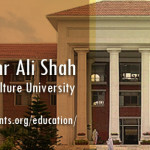 While in Pakistan, LUMS leads all universities and is the best place to get your education from. Sir can i get admission for bba after passing my fsc in pre Medical?? Sir i belong to lahore and my Qualification is B.Com. Now i want to take Addmission in MBA in Accounting and Finance. I know me too late for this but i must want to take Addmission. Sir i have done my BBS 16 years in HRM with 3.1 CGPA out of 4.00 from Kust Kohat. Can meet me admission in MBA 1.5 years in imsciences.